Marble is recrystallized limestone. It mainly consists of CaCO3. Under high temperature and high pressure, limestone turns to be soft and its minerals take changes to be recrystallized to form marble. It is colorful and has obvious texture and many mineral particles. The Moh's hardness is 2.5-5. Marble is mainly composed of calcite, limestone, serpentine and dolomite. Calcium carbonate occupies around 50% of the main components. So, the marble leftovers has an important reutilization value which can be processed to be used in chemical field. In a whole marble powder production line, marble is excavated firstly and then transported to feed hoppers. Next, marble is evenly fed by vibrating feeders to primary crushing machines like jaw crushers. Broken marble will then go into impact crushers to be broken further. 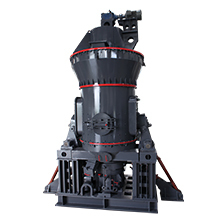 If customers want to produce marble powder, marble grinding machines, that is, the marble grinding mills, are necessary. For marble powder production, in terms of different applications and fineness, recommended marble grinding mills are shown in the following table. In a marble processing plant, there are often 4 stages. 1. 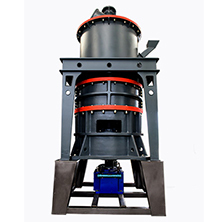 Crushing Stage: Big blocks would be crushed into materials within 15mm-50mm--- the feeding size of grinders. If the marble leftovers meet the demand of feeding size, the crush is not required. 2. 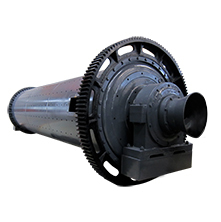 Grinding Stage: The small qualified pieces would be evenly sent, by conveyor and feeder, into the grinding cavity where the materials would be ground into powder. 3. Grading Stage: The ground material with air flow would be graded by powder separator. After that, the unqualified powder would be sent back to the grinding cavity for another grind. 4. 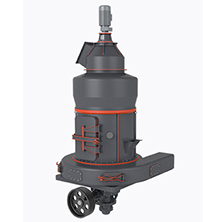 Powder Collecting Stage: With air flow, powder meeting the fineness standard enters into the powder collecting system along the pipe. The finished powder products are sent to finished product warehouse by conveyor and packed by powder filling tanker and automatic pack machine.